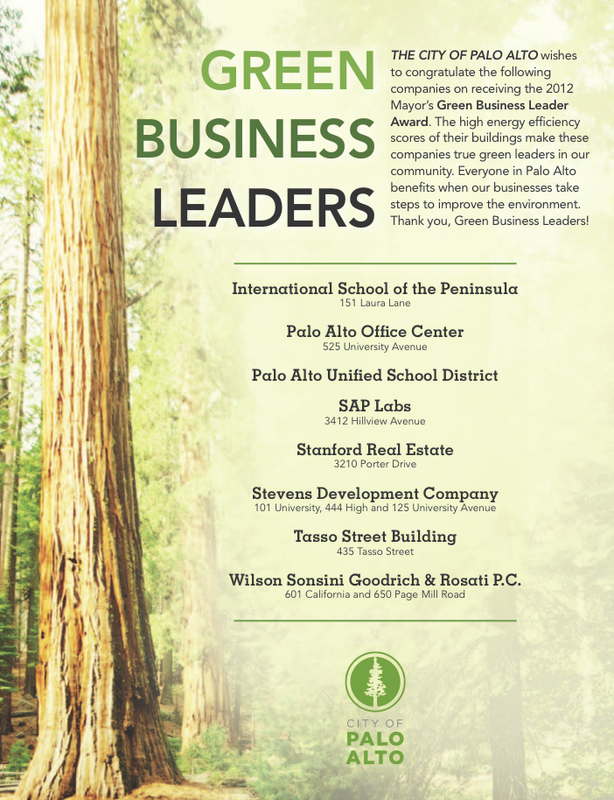 The International School of the Peninsula was recently awarded the 2012 Mayor's "Green Business Leader Award." Over the years, the school as a whole (with students helping to lead the charge!) has worked very hard on becoming more green and environmentally aware. Our middle school in particular has been very passionate about helping to teach the younger grades about proper recycling, composting, and garbage procedures, and ensuring that we leave as light of a "footprint" as we possibly can. It's an honor to receive the City of Palo Alto award and ISTP wishes to thank our entire community for helping us to take steps to improve the environment.